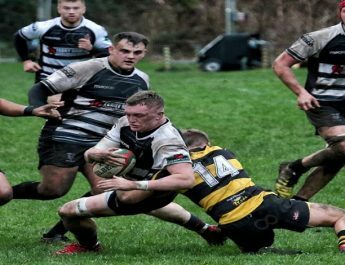 Cross Keys were narrowly defeated by high flying Cardiff on Friday evening as the Blue and Blacks maintained their fine form to be right in the mix at the top of the table in the Principality Premiership after the game was moved from Pandy Park, which was waterlogged to the 4G pitch at Ystrad Mynach. The Keys couldn’t have wished for a better start when, with around 7 seconds on the clock Keys’ winger Carwyn Penny crossed for the game’s opening try after Jacob Botica’s long kick off was misjudged by the blue and blacks defence and the ball bounced through and was followed up by Penny to pounced to score what will comfortably be the fastest ever try by a Keys player but will probably rank amongst the quickest ever scored anywhere in world rugby history. Jacob Botica’s conversion attempt from out wide struck the left hand post as Keys held an early 5-0 lead. The Keys stayed in control during the opening minutes and extended their early lead with around 7 minutes played when they won a penalty at scrum time which Jacob Botica successfully converted from around 20 metres out from in front of the posts. Botica was again on hand to further Keys’ lead with around 12 minutes when he slotted another penalty, from in front of the posts but from around 30 metres out this time around, after Cardiff were off side. Cardiff slowly began to get on top after Keys had dominated the opening 15 minutes. 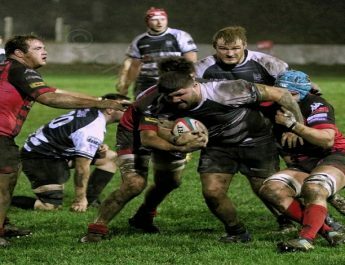 The Blue and Blacks had a chance to close the gap when former Keys man Steffan Jones lined up a penalty in the 18th minute from in front of the posts from around 35 metres out but his kick drifted wide. Keys then had a chance to further their lead with another Jacob Botica penalty kick this time from some 35 metres out to the right of the posts but Botica struck the right hand post before the ball went dead. Cardiff registered their first points of the evening with 32 minutes played when from a scrum formed near the touchline on the Keys 22, outside half Steffan Jones made an excellent break which put Keys on the back foot before Jones offloaded to Joseph Gatt and the winger had centre Ben Thomas on his shoulder and he did the rest to score a try just to the right of the posts. Steffan Jones added the conversion to close the gap. The remainder of the first half saw Keys enjoy a good spell in Cardiff territory but the score wasn’t affected. 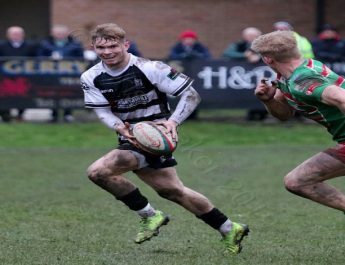 The Keys had a chance to extend their lead with just 2 minutes of the second half played when they won another penalty at scrum time midway in to the Cardiff half. 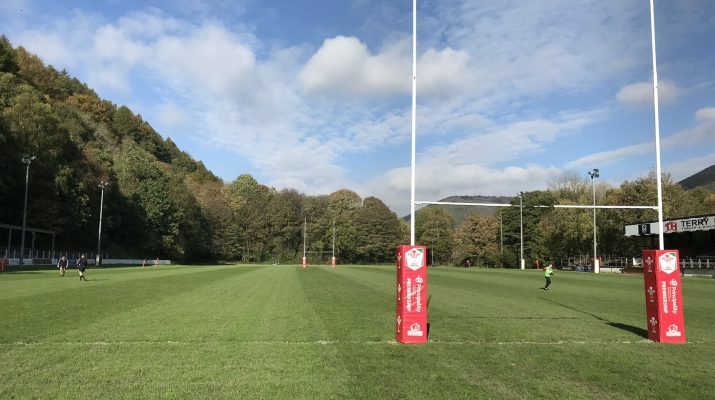 Jacob Botica delivered the accuracy but a strong wind ensured that the ball was held up in the air and dropped short of the posts which allowed Cardiff to clear their lines. Keys were reduced to 14 men 5 minutes in to the second half after skipper Damian Welch was shown a yellow card for a side entry at a maul when Cardiff drove their way toward the Keys’ try-line. Keys were only able to briefly clear the danger after the Blue and Blacks spilled the ball from the resulting driving lineout. Cardiff soon won a scrum and they scored their second try with 7 minutes of the half played when they crossed for an almost carbon copy of their opening try. 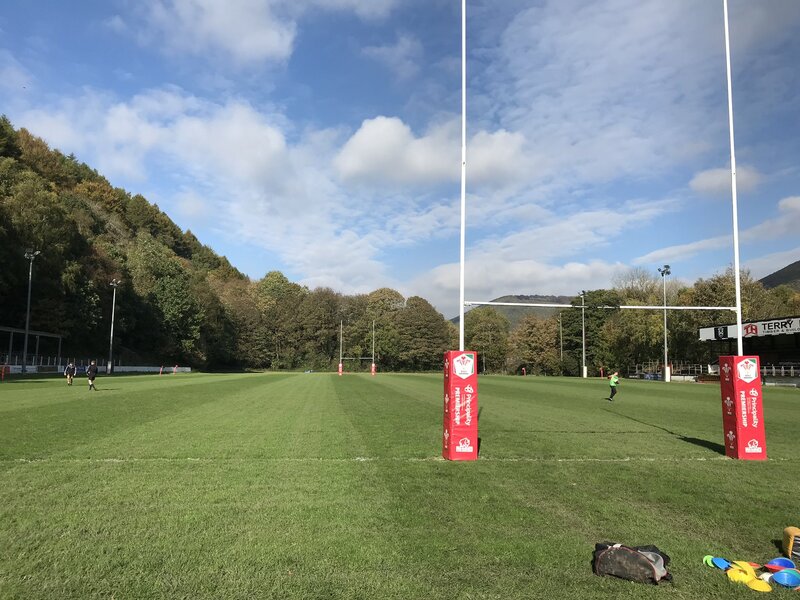 Former Keys favourite Steffan Jones timed a pass to perfection to winger Joseph Gatt who came in from his wing and he cut through a hole in the Keys’ defence before off-loading to centre Ben Thomas who crossed for his second try of the game to give his side the lead for the first time. That lead was extended by Jones with the successful conversion from the right of the posts. Keys coped well for the remainder of the 10 minute period that Damian Welch spent in the sin bin. The Blue and Blacks were next to score after they created an overlap out wide with some quick handling across their back line and neat passing led to winger Thomas Williams squeezing in at the corner for his side’s 3rd try with around 18 minutes remaining. Steffan Jones added the conversion from the right hand touchline. The Keys enjoyed a good spell for the next 5 minutes or so with Garin Price and replacements Dan Babos and Tom Lampard all going close to crossing, before Cardiff forced a Keys mistake and cleared the danger as the game entered the final 10 minutes. 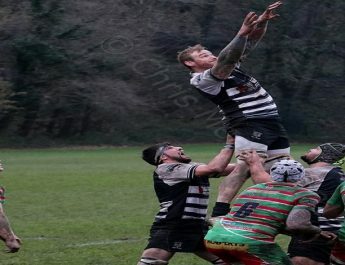 A quickly taken lineout around their own 22 saw Keys turn defence in to attack with an impressive run from Carwyn Penny. This saw Keys break through toward the Cardiff 22 and Keys patiently built the phases and stayed in control of the ball before Cardiff again were able to clear their own territory with play moving back toward the halfway line. Keys stuck at it and a number of big carries by Ieuan Jones and replacement Taylor Hansen in particular saw Keys create holes in the Cardiff defence. With the final play Dan Babos took a quick tap penalty on the half way line and broke up field before offloading to Penny who almost made it to the line himself but was hauled down just shy of the line. Penny was able to offload to the supporting Garin Price and he crossed for the try which ensured Keys secured a losing bonus point for the valiant effort. Jacob Botica added the extras with the final play of the match.